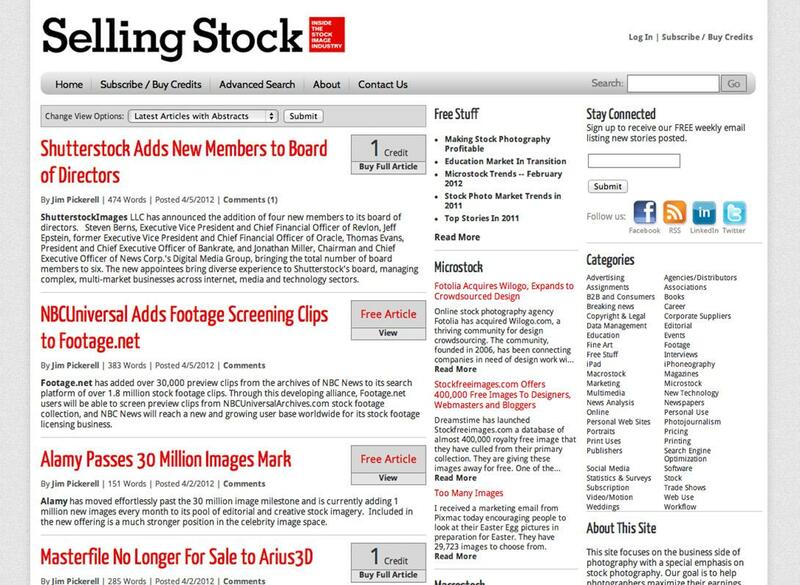 Selling Stock is an online newsletter reporting on the worldwide stock photography industry with an emphasis on the U.S. Market. Waypoint Commerce, plus some custom additions, allow the site to handle membership subscriptions and renewals as well as a credit-based purchasing system. Article management with search, categorization, RSS and mailing list management make for a robust platform for this paid content website.